Security has been stepped up in Somalia to prevent attacks by al-Shabab fighters. 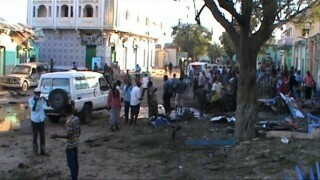 The armed group often increases the frequency and intensity of its strikes during the Muslim holy month of Ramadan. 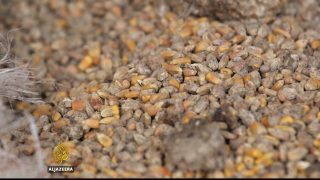 The Somali government has arrested several World Food Programme officials, and seized a plane load of what it says is expired food. 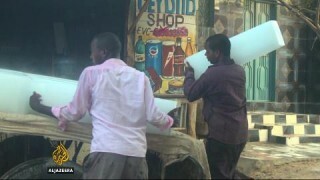 A senior government official has said the aid shipment was an attempt to poison the people of Somalia. Somalia has some of the most expensive electricity in the world. Customers say they are being held to ransom by companies only interested in making quick profits. 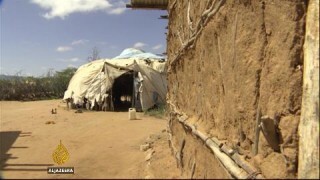 Plans are underway to repatriate more Somali refugees in Kenya. 12,000 have gone home so far, as part of a voluntary program run by the United Nations which started in 2014. Another 50,000 are to be sent to Somalia this year. 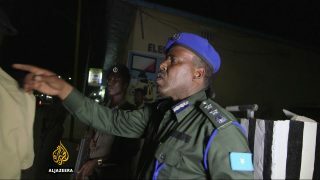 At least 30 people have been killed in twin bomb attacks claimed by Shebab Islamists at a busy restaurant in the Somali city of Baidoa. An initial car bomb struck a popular restaurant in a busy part of the regional capital on Sunday afternoon, with a suicide bomber nearby hitting people as they fled the area.